Original early 1900's White Wedding Flower Basket, a lovely piece to showcase your flowers. 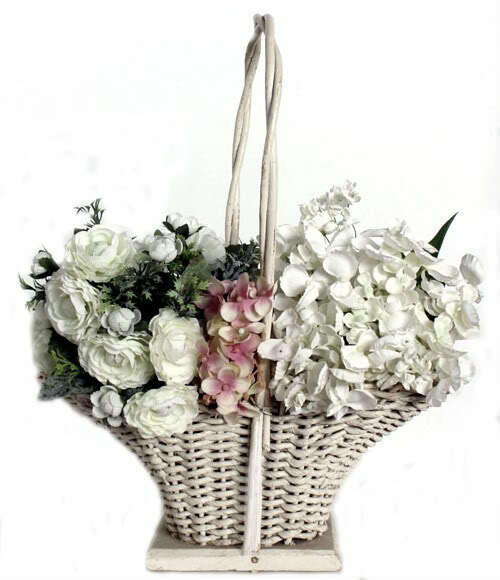 Wonderful find, this shapely flower basket is rare to find, these were used by little flower girls, or to send bridal couple's bouquets with well wishes. 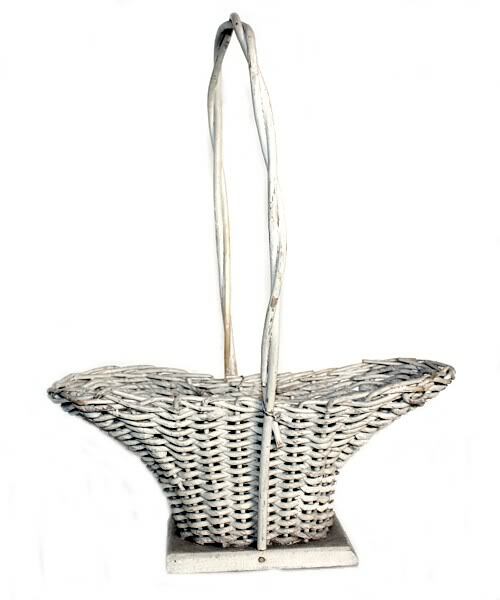 This woven basket is made of wood, wicker and paper twists, it has a tall bowed handle and is painted white. The basket measures approximately 15" high to the top of the handle. A little shabby here and there with the paint chipping, the handle has been glued on the bottom as shown, it is very sturdy. A decorative addition to your bridal collection, to use in your wedding, or to add to your rare and collectible Victorian basket collection. Measures 11" x 5" h.